I meant to share this last month when I actually got it. But I get anxiety and depression and I won’t do certain things for weeks to months. I never know what it’s going to attack and this month it was social media. I barely was Instagram. I had to force myself to post something. I have stuff from February I still need to post. To break the cycle I usually have to force myself to do whatever I’m avoiding lol. So here I am forcing myself to do this post. And it’s been on my mind saying it’s ready but I’ve been asleep. Literally. So no more delays we are finally bringing this post to light. 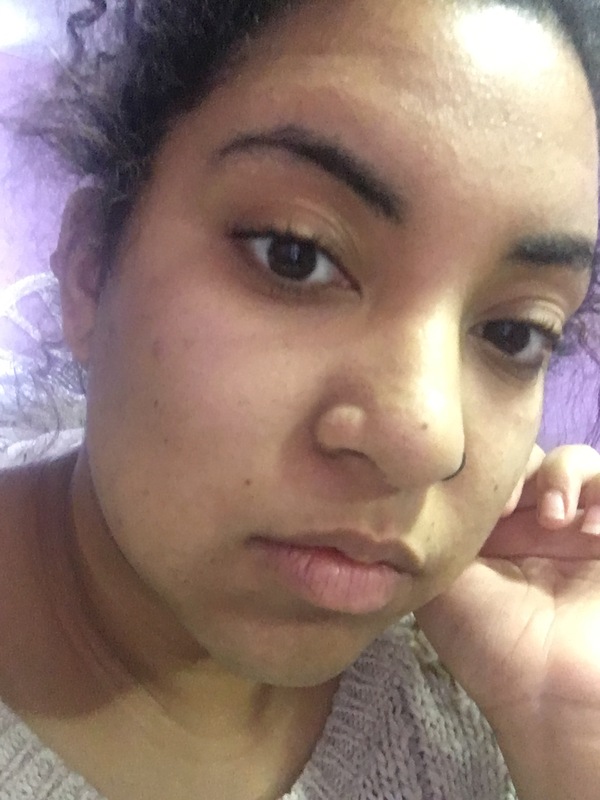 I had descovered through Snapchat one of the featured posts, that Covergirl made an app that will make a custom blended foundation. 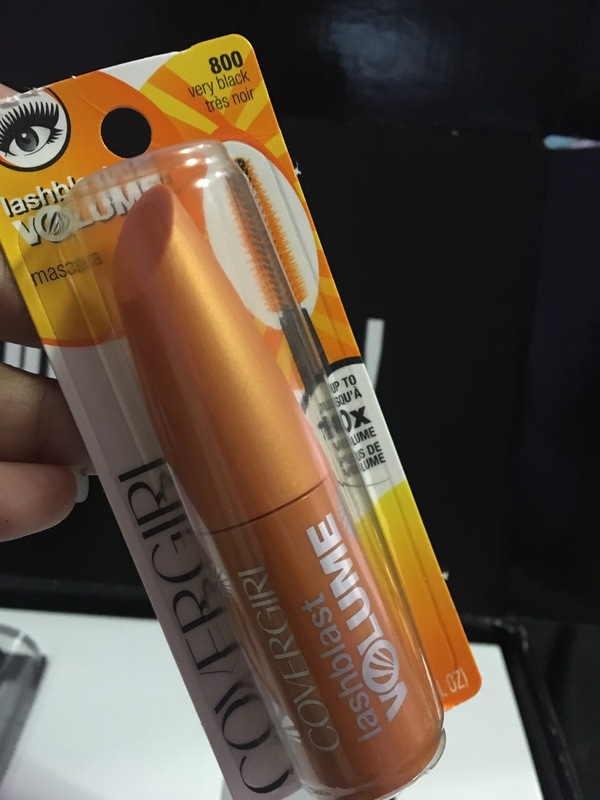 Apparently, Influenster as well was sending emails out telling their subacribers about it. I don’t know if it was a selected group or I missed that email because I never got one. Either way, I was just happy that I found out about it. Jackie Aina had done the Lancome custom foundation and I have been obsessed with wanting to try it. However the machine, at the time, is only available in California in a certain mall. They are working on bringing the machines to more stores but it will take a while. And since I don’t have California plane ticket money plus $80 to spend on a foundation, discovering something similar made me happy. 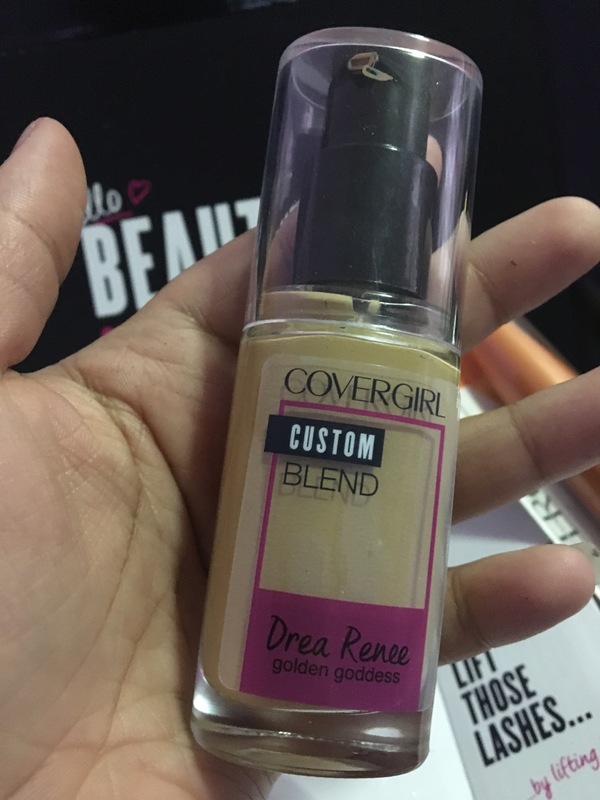 You have to download the Covergirl custom blend app. I don’t believe it’s there anymore, as I believe this was only available for a limited time. I wasn’t sure if it was because they wanted to test it or they only wanted to do it for a short time. Who knows. 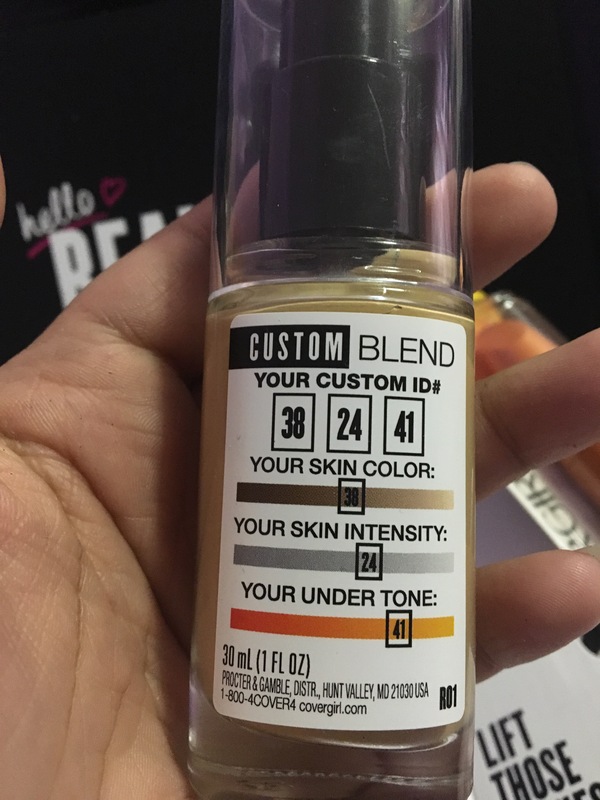 I’m glad I didn’t wait too long to try it but still wished it was up for summer foundation. Anyway, you download it and it takes you through a few steps. First you fill out your name, ethnicity (not many options), and undertone. 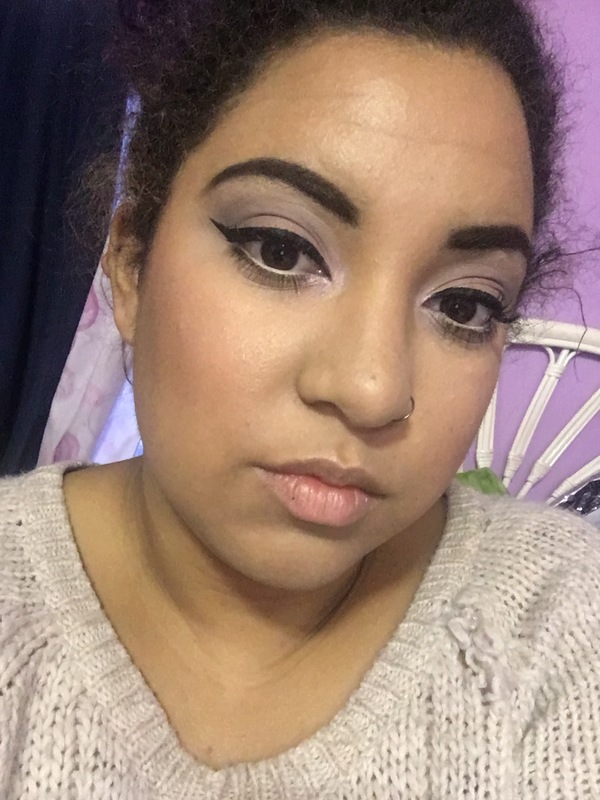 I was really happy they asked about undertone because I can kind of (not really) get away with wearing a neutral foundation but I’m heavily yellow undertoned and foundations may have the right shade but not the right tone, and that’s a killer for me. I mean that really goes for everyone. Shade matching is life or death lol. Then the last step is to go into natural lighting and the app will access your camera, and you kind take video of your face. You hold the phone to your face and move it around until the app feels like it caught every angle it needs to. Then it breaks down your skin tone and gives you a number. Then you pick if you want it more natural or glam and there didn’t much of a difference, so I chose glam. I like my foundation to be pretty full coverage. Then you name it and check out. This was $25 and probably one the most expensive foundations I own. I never even bought a Covergirl foundation before. My high end foundations consist of one Kat Von D and one Marc Jacobs. And one of my makeup besties got me the ABH foundation stick. Those are my most expensive foundations. But this was a custom color, included shipping, no tax, I was so ready to see if this worked. And I honestly have no regrets. It came pretty quickly, I don’t think I even waited two weeks for it. 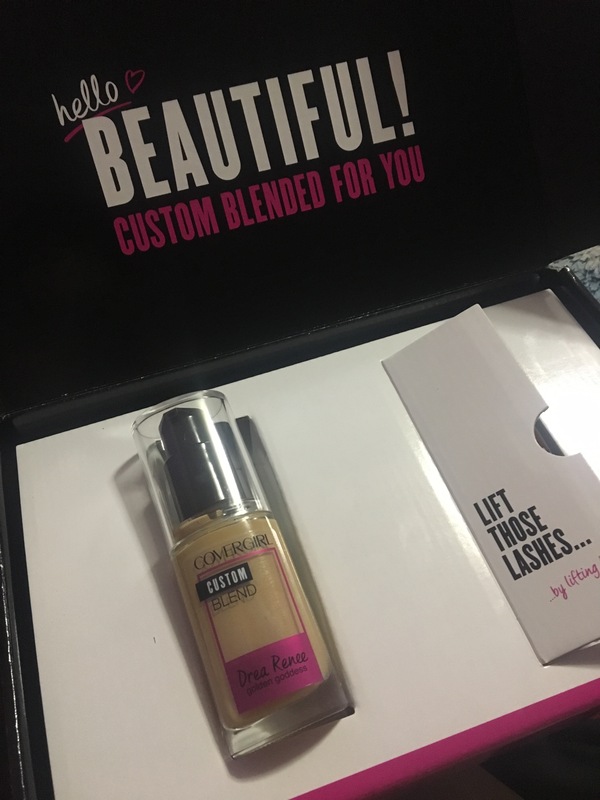 It came with a deluxe sample of their Lashblast Volume mascara in very black and a coupon for $2.50 off one product. So not bad at all so far. I really loved that the foundation came in a pump and when you move the top left or right it opens or locks in place which I also really loved. I tested out this baby and I honestly need to pump out a lot for it cover the way I wanted it to. 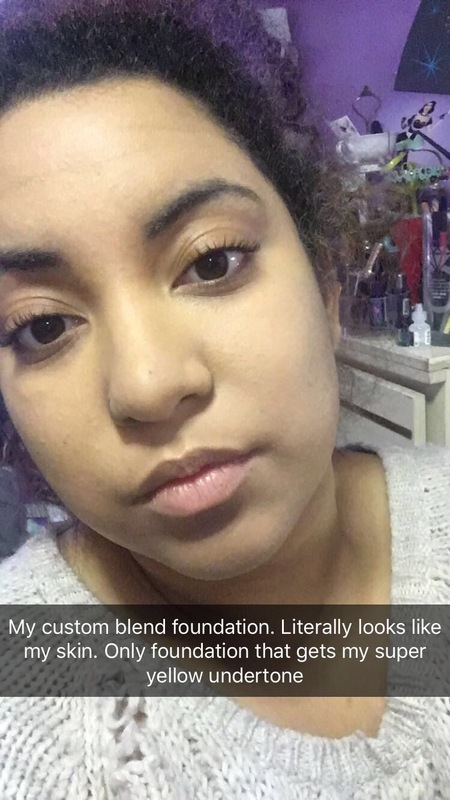 I don’t know if this how Covergirl’s foundation are, but I am natural girl by no means. 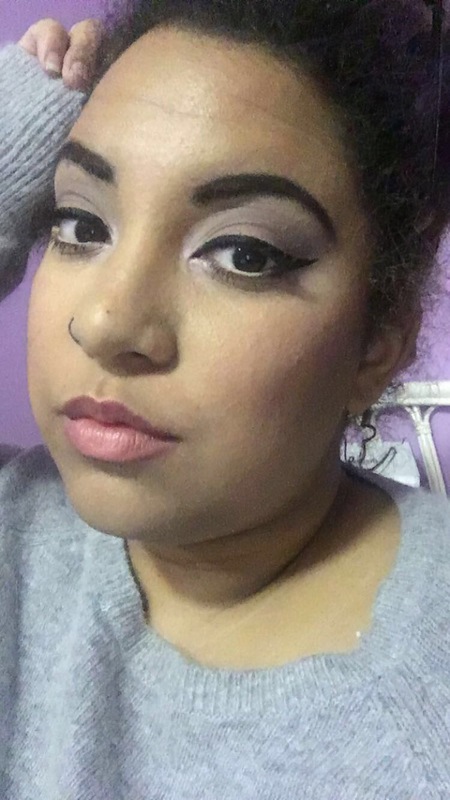 When I put makeup it usually means I’m going out because my job doesn’t require makeup. Foundation + fry grease = pimples for life. If I had normal job I’d definitely wear this as natural as it is but I ain’t about that life right now. But I do love that it is buildable, and they did fill the bottle to the top. I was a bit worried about how it would match but this is probably the best matched foundation I’ve ever had. My skin looks like it has a filter on it. I really love it. I can barely match myself because if I go to light it’s white foundation, too dark I’m tan. I really need a yellow base plus a lightness that doesn’t wash me out. And I hate having to mix all the time or adding. I was so happy with how amazing it went on, so you did that Covergirl for $25 and on app on your phone. I just wanted to show as many pictures from different lighting and angles. 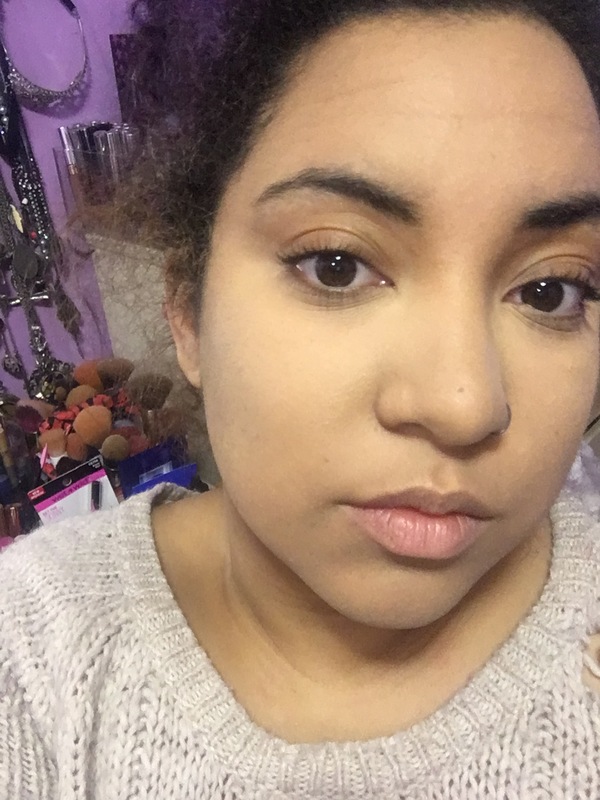 I really love how this foundation wears, and how much it truely matches me. 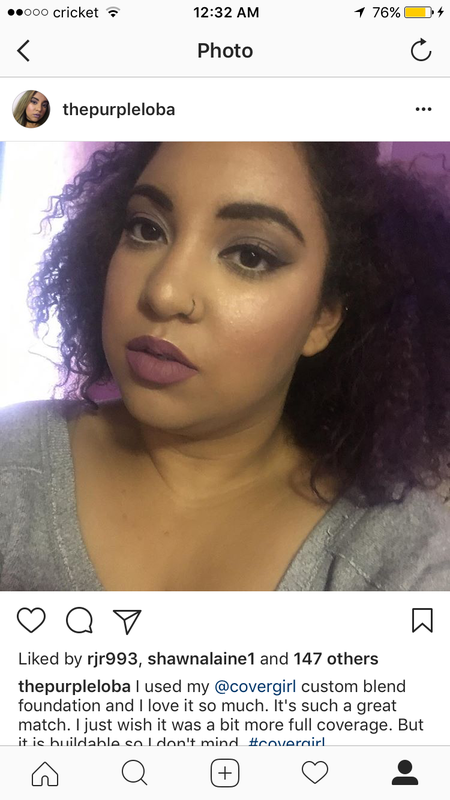 Only thing I don’t like is that it’s not full coverage. I have to build it up because it’s not giving me the coverage I want. I really hate that they brought this for a limited time. I think you need at least one foundation that you is absolutely unclockable. And this is definitely it for me. So here’s a breakdown of the foundation and what it means. My skin color is a 38 which according to chart means my skin tone is on the lighter side. Which is a no brainer as you’ve seen me lol. The higher your number, the lighter your shade will be. The scale is 25-50. My skin intensity is a 24 which means my skin is very bright. 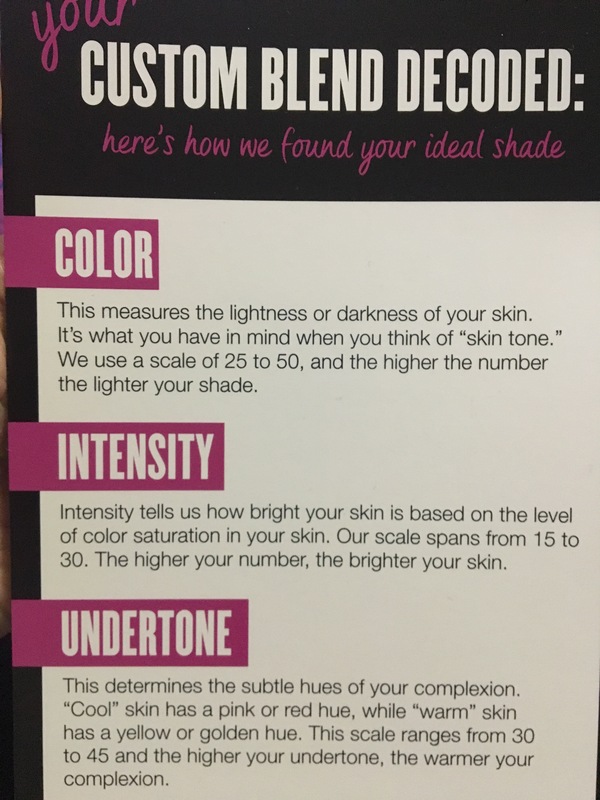 The intensity is how bright your skin is based your on the saturation of color in your skin. The higher the number the brighter you are. The scale is 15-30. My undertone is a 41 which means I have a more yellow or golden undertone. The scale is 30-45. The lowest is cool where is the higher is warm. And mine is 41, this is why I stress my yellowness lol. I am almost as yellow as you can possibly get. Which is why I named my foundation golden goddess. Over here looking like yellow gold. I really enjoyed the process of this. Even though this is drugstore, I believe they did excellent job on price point and accessibility. Sure the Lancôme is probably more accurate and it sure as hell should be for the price. But this was easy to do from your home, on your phone. You didn’t have to drive 5 hours to the one store that had the special machine. 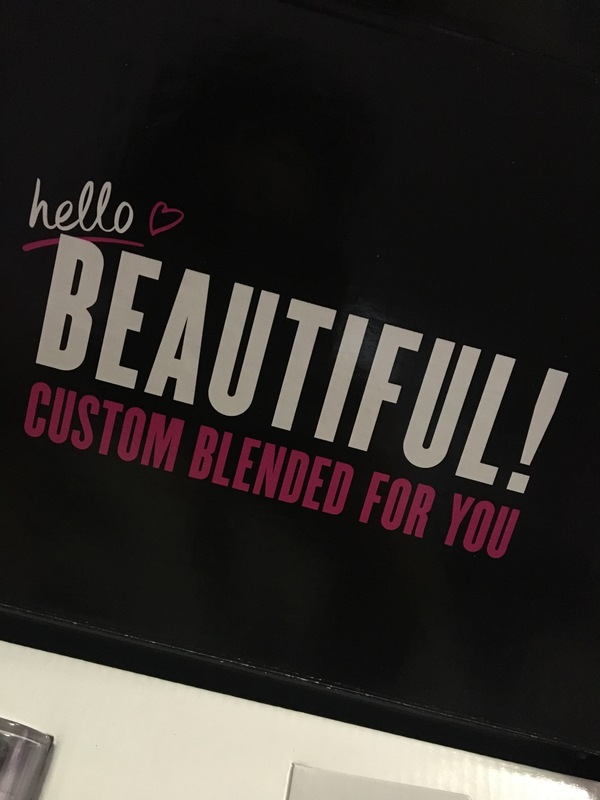 You paid $25 to get your shade, you get to name it, and you get a mascara and coupon. And the shade matching is literally amazing for something you did at home on an app. I really loved this, it was a lot of fun. 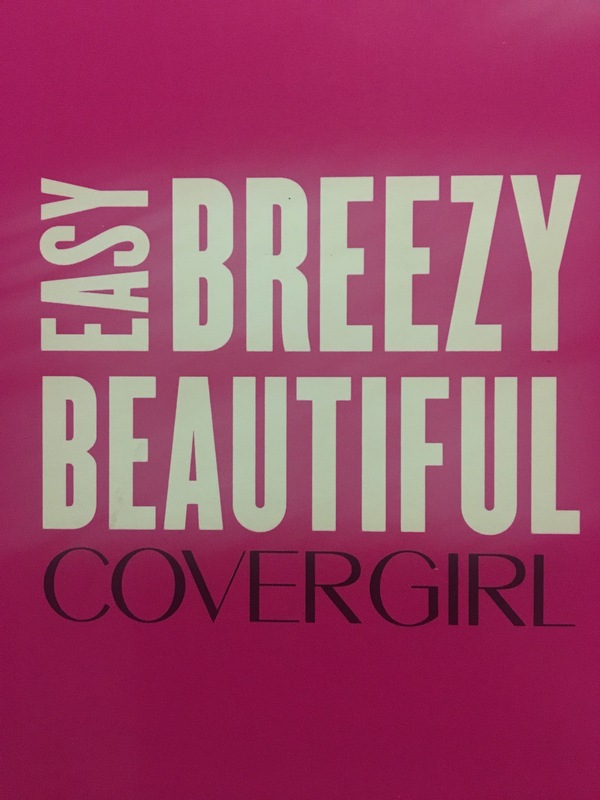 I really do hope Covergirl brings this back. I hope you guys enjoyed my posts. Hopefully this will put me back on my routine. Thank you so much for reading and stay purple. 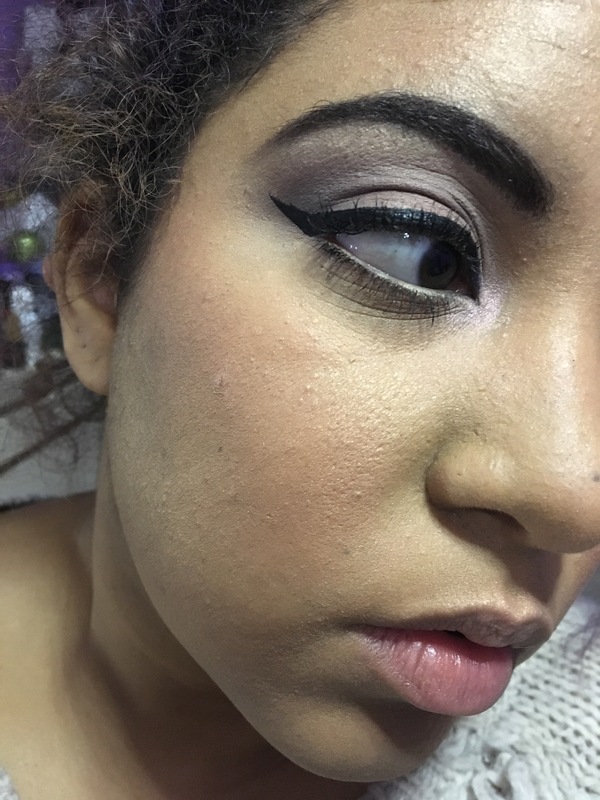 This entry was tagged beauty, covergirl, covergirl custom blend foundation, covergirl foundation, custom foundation, makeup, yellow skin tone. Bookmark the permalink.